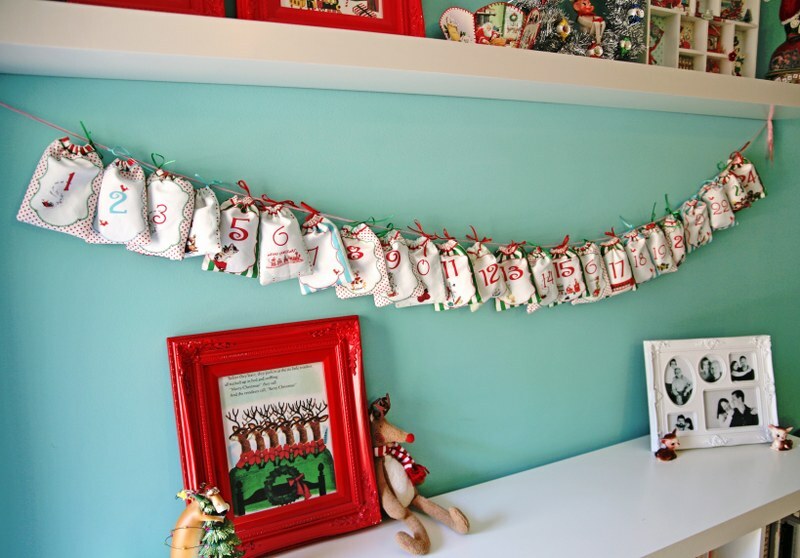 One of our favourite Advent traditions is the Advent calendar. There are different calendars used around the world, although these days the most popular ones are cardboard calendars with 24 doors. One door is opened every day in December leading up to Christmas. Behind each door is a picture and often a Christmas-themed chocolate, such as a chocolate Christmas tree or Santa Claus. In the early 1800s it was common to mark 24 chalk lines on your door and rub off one every day leading up to Christmas. It was around 50 years later that the first paper calendars were made, but they didn’t soar in popularity until the early 1900s. Although there is much debate about where in the world these paper calendars first appeared, one thing is certain – the first ones were mass-produced in Germany in the early 1900s (although production stopped during World War II due to a shortage of cardboard). Initially, these cardboard calendars featured pictures from the Christmas story. Later, calendars filled with small toys and chocolate were introduced. The first calendar with chocolate in it was produced in 1958, although they didn’t become popular with the masses until the 1980s. 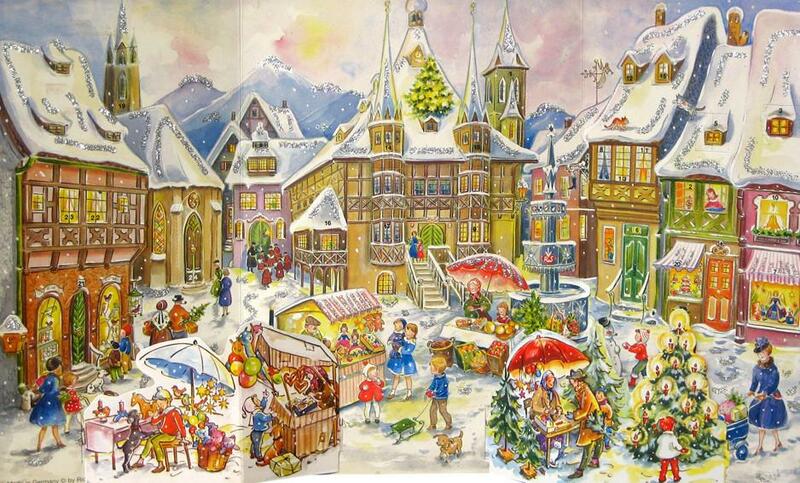 Today, there are many types of Advent calendars. One particularly popular trend in Germany is using a wreath of fir with 24 boxes or bags hanging from it: each bag or box is filled with a little gift. Advent calendars have become a big trend, with calendars available featuring different products such as perfume, makeup, chocolate, beauty products, toys – you can even get an Advent calendar for you dog or cat filled with treats for them! Did you know…? The sparkly diamond advent calendar below has gone down in the Guiness Book of World Records as the most expensive Advent calendar in the world – valued at €2.5m. 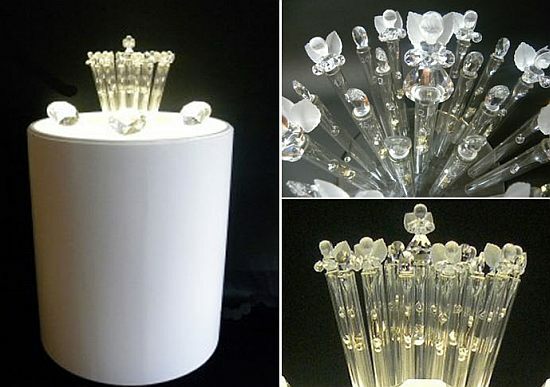 It was created by a Belgian jeweller, featuring jewellery designed by Frankfurt-based jeweller Biegel Schmuckdesign. Wishing you all a lovely third Advent. 4. 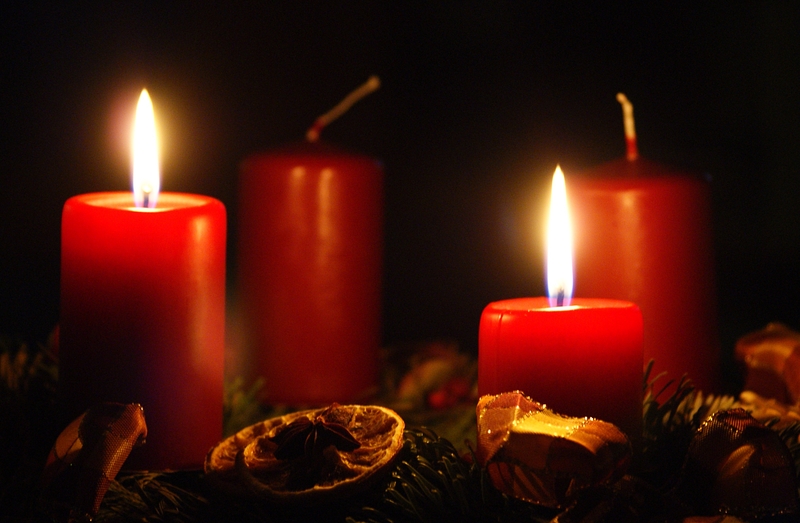 Advent – Frohe Weihnachten!